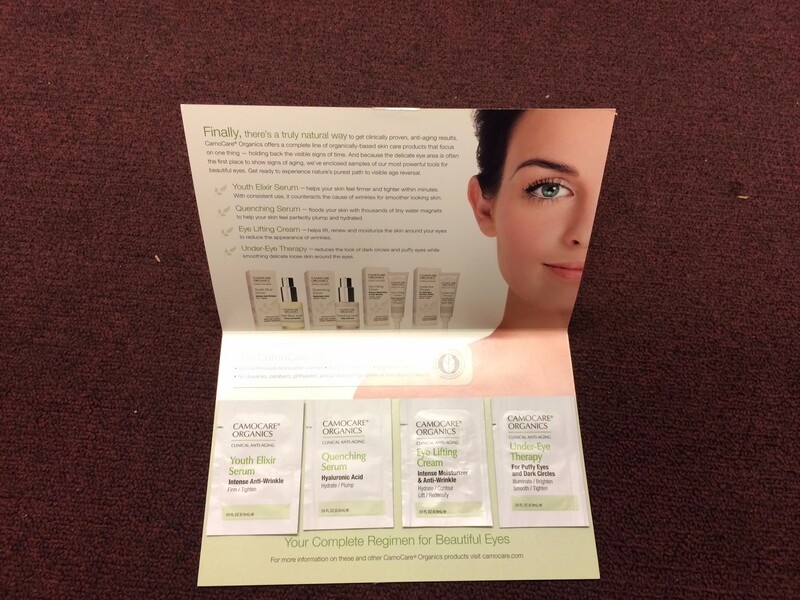 Product samples affixed to sample kit/brochure. 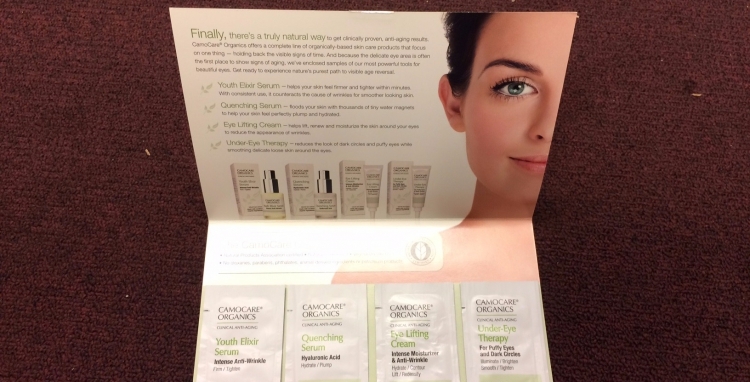 Front of product sample kit/brochure. 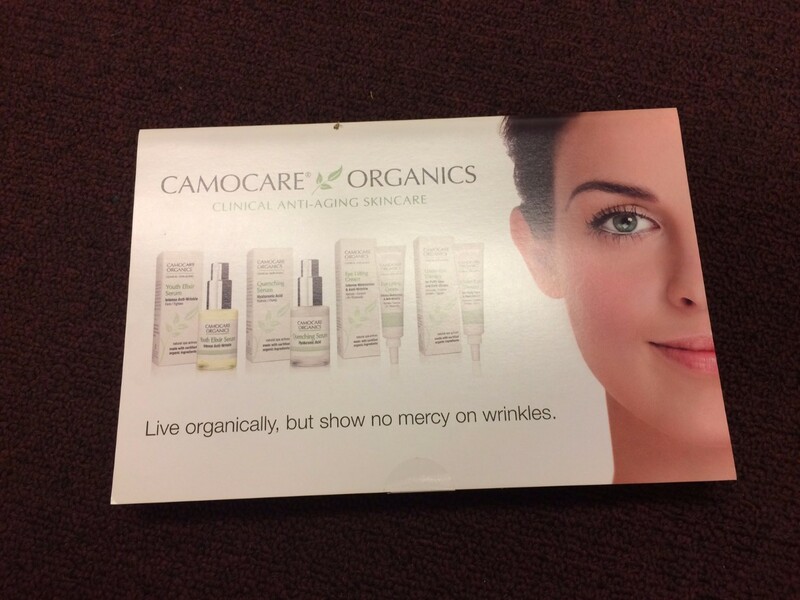 Promote your product with our professional Product Sample Kits. Affix a variety of samples (perfume, make-up, toothpaste, vitamins, etc.) to your printed item. Automatic affixing and manual gluing are available for custom items that are great for point of purchase samples, mail samples, or inserts in newspaper, magazines, and many more options.